The Stella blouse is a simple, versatile blouse which exudes elegance. Featuring front and back waistline darts to create a ﬁtted and feminine ﬁt. View A has 3/4 sleeves and View B is sleeveless . 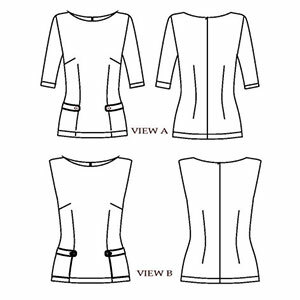 Both versions of the Stella blouse feature a cute patch pocket design with pocket tabs on the front. Both close with an invisible zipper in the centre back. 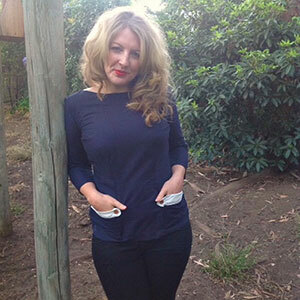 The Stella blouse is perfect for day or night and a huge variety of fabrics. Suggested fabrics are light to medium weight wovens such as wool, chambray or check out our collection of specialty woven fabric. 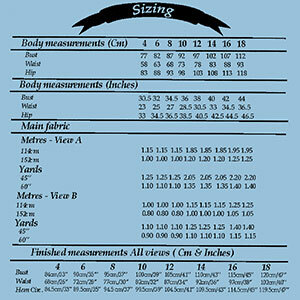 For a different look and feel try a stable knit such as ponte de roma or cotton lycra.